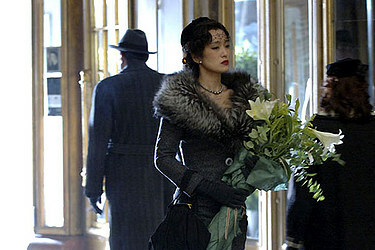 Chinese superstar Gong Li will be making her third appearance in a major Hollywood movie when she stars in “Hannibal Rising”, the prequel to the “Silence of the Lambs” and “Red Dragon”which will be release on February 9th, 2007. Hannibal Rising (2007) is the fifth film (after Manhunter, The Silence of the Lambs, Hannibal, Red Dragon) about Dr. Hannibal Lecter and a prequel to Red Dragon, The Silence of the Lambs, and Hannibal. It is an adaptation of Thomas Harris’ 2006 novel of the same name and will tell the story of how Hannibal becomes the infamous serial killer of the previous films and books. This prequel shows a young Hannibal Lecter in three different phases of his life: from childhood in Lithuania, to his teen years in France, up to his arrival in North America. This is the story of the monster Hannibal Lecter’s formative years. These experiences as a child and young adult led to his remarkable contribution to the fields of medicine, music, painting and forensics. We begin in World War II at the medieval castle in Lithuania built by Dr. Lecter’s forebear, Hannibal the Grim. 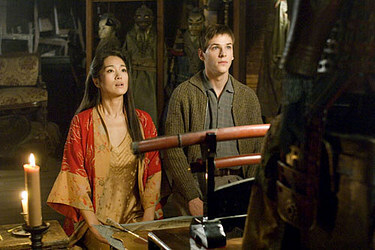 The child Hannibal survives the horrors of the Eastern Front and escapes the Soviet aftermath to find refuge in France with the widow of his uncle, mysterious and beautiful Japanese descended from Lady Murasaki Shikibu, author of the Tale of Genji. 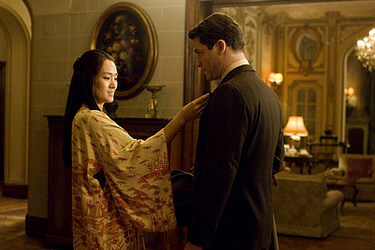 Her kind and wise attentions help him understand his unbearable recollections of the war. Remembering, he finds the means to visit the outlaw predators that changed him forever as they battened on helpless during the collapse of the Eastern Front. Hannibal helps these war criminals toward self-knowledge even as we see his own nature become clear to him. This entry was posted on Saturday, February 3rd, 2007 at 6:34 pm	and is filed under Celebrity News, Movie Trailer. You can leave a response, or trackback from your own site.